Thank you to the following list of companies for supporting the Minnesota chapter of the National Association of Women Business Owners. We greatly appreciate your support and encourage our members to do business with our partners. One of NAWBO’s greatest strengths is our ability to build strategic alliances, coalitions and affiliations with corporate and affinity partners that help support and propel the growth and prosperity of women-owned businesses. NAWBO serves as the most effective and direct access to a community of successful women entrepreneurs. NAWBO offers you the ability to build a meaningful and mutually beneficial partnership that helps to strengthen the wealth-creating capacity of our members and promote economic development. Media Relations Agency is a full-service, hybrid agency that specializes in helping businesses tell their stories. In 1987, Media Relations rocked the PR industry when they pioneered their game-changing Pay Per Interview Publicity® performance-based PR model. Since that time, their results-driven strategies have helped launch multi-million dollar businesses, and to create strong consumer demand for entirely new product categories. 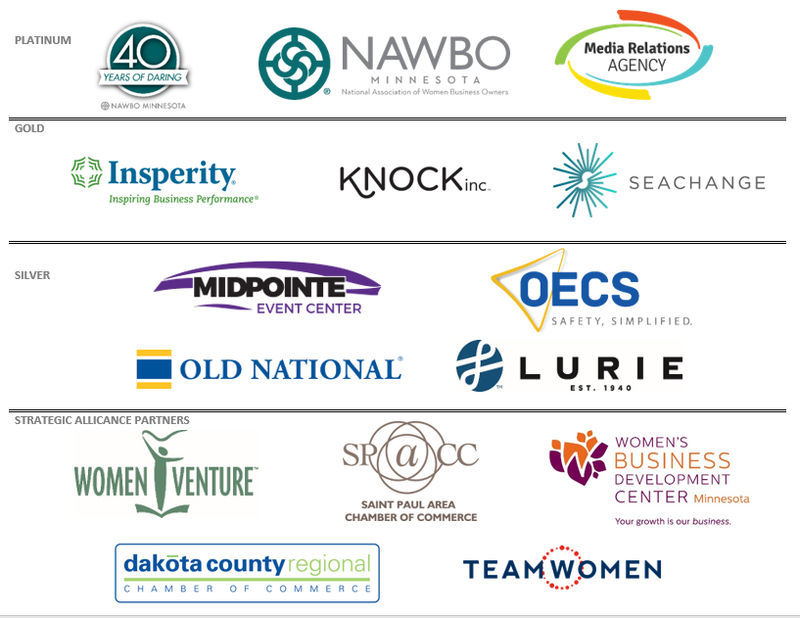 Media Relations is a long-time supporter of women-owned businesses in our community and NAWBO-MN is proud to have them as a Platinum sponsor. SeaChange means transformation – and to SeaChange, the opportunity to approach printing in a new and smarter way. Since launching in March 2014, SeaChange Print Innovations has been busy finding new ways to transform their customer’s print, structural design, packaging, kitting, mailing, fulfillment and digital media needs by offering refreshing solutions. SeaChange is also WBE Certified. NAWBO-MN is pleased to have SeaChange as a Gold level sponsor. 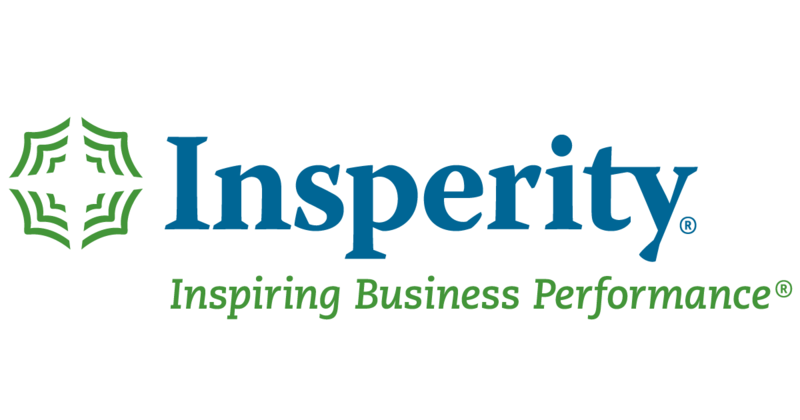 Since 1986, Insperity® CEO Paul Sarvadi envisioned making business owners' lives easier by taking HR and administrative burdens off their plates. So he decided to start a company with little more than 600 square feet of space and one telephone. Since then, Insperity has grown as a result of helping clients reach their goals. Our business model is simple: We're dedicated to helping businesses succeed by taking care of the things that could be distracting you from the bigger picture. We do this by helping you control expenses, minimize risk exposure and maximize your opportunities for revenue generation. Headquartered in Minneapolis, Minnesota, KNOCK, inc. is a full-experience creative agency that strategically connects clients and their brands to consumers across the globe. Driven by design and all things digital, we solve the most complex advertising and marketing objectives. A CPA firm in Minneapolis and Silver level sponsor of NAWBO-MN, Lurie LLP is proud to be a strong advocate for the city and community they serve. Dedicated to doing things right with a desire to help the community, Lurie LLP is an accounting firm with its foundation in thinking differently and leading fearlessly. Whether it’s weddings, corporate events, or social events, Midpointe Event Center customizes and coordinates each event with ease and passion with their intuitive, caring & seasoned Event Coordinators. Midpointe strives to provide excellent service and looks forward to welcoming you to their venue to create memories that last a lifetime. Midpointe is a proud Silver level sponsor of NAWBO-MN. Our commitment to live out our organizational values happens within the walls of our buildings and in the communities we serve. Day in and day out, our values guide the way we do business and shape our interactions with our clients and others.